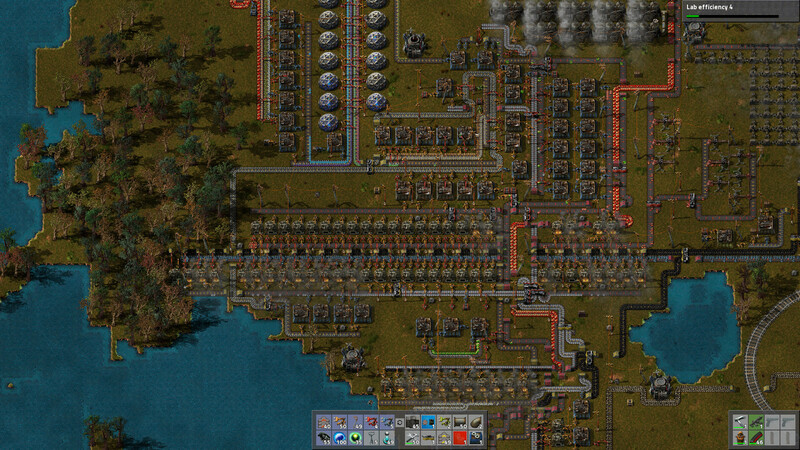 Factorio is a 2D sandbox of enormous size, where you will have the freedom to explore the planet. You will go to create a new world where you will create all the necessary conditions so that humanity can live there in peace and comfort. You need to engage in the extraction of useful resources and all sorts of things, and then produce the necessary components that you will send earthlings with aliens to war. You must master a new planet faster than the enemy will do. Here an important role is played by the economic component, so be very careful in resolving this or that issue. You will have great opportunities in terms of organization and logistics. The game can not boast of graphics, but this is not necessary here, because it is quite interesting already. Develop modern weapons, as well as setting up production. This game has been updated 19-04-2019, 05:57 to the latest version v0.17.32. There is a bug in the updater as it didn't delete the data/base/campaigns/beta. You can manually delete the folder to avoid the problem. This is the first experimental release after a year and 3 months. We tested it and found it to be quite fine, but there most probably are dangerous bugs hidden, so backup your saves and be careful. You need to explicitly opt in to 0.17.x beta to play 0.17 on steam. Any GUI not mentioned in the finished screens (Quick bar, Train Schedule, Load/Save Game, Settings, Map Generator, Research, Mods) wasn't addressed by the gui rewrite yet. As long as it is generally functional, we don't accept bug reports about its minor bugs or visual issues. Added clipboard functionality. (Control + C, Control + X, Control + V activate appropriate tools) Shift + mouse wheel allows to cycle the clipboard history. Added undo functionality (Control + Z). Supports manual entity building and by blueprints and manual mining and usage of deconstruction planner. Reworked the Map Editor so it's now part of the standard game and can be toggled at will using the '/editor' command. Support for mod synchronisation when joining multiplayer game. Works as long as the used mods are on the mod portal. Fight changes. Enemy projectiles are dodgeable and slowdown/damage the target over time. They also leave splashes on ground that have the same effect. Fixed crash related to train waypoints and very short train paths. Fixed wrong entity info positioning when all other things in the right container are disabled. Fixed Wave defense victory not being triggered in some cases. Fixed Wave defense victory message being printed on every rocket launch. Fixed restarting the game after sync-mods-with-save would fail to auto-load some saves on Windows. Fixed PvP error when loading 0.16 versions of the scenario. Fixed selection in blueprint preview would have an offset if UI scale was not 100%. Fixed pie slice used as progress indicator in crafting queue wasn't rendering for small angles. Fixed that the /time command would give back the wrong time played. Fixed rendered terrain would increasingly get corrupted during movement when using 16bit rendering mode on some OpenGL drivers. Fixed player.get_quick_bar_slot causing a crash for some values. Fixed controls were lagging when application window was receiving lot of events it didn't recognize on macOS or Linux. Fixed "Wait for V-Sync" graphics option was not working on macOS 10.14 Mojave. Fixed crash logs were missing stack traces on macOS. Adjusted the Supply Challenge requirements to make sense. Fixed a crash when reviving entities through the Lua API. Fixed NPE crash on biter commands during rebuild quest. Fixed NPE crash during cutscene if player left entity ghosts in the starting area. 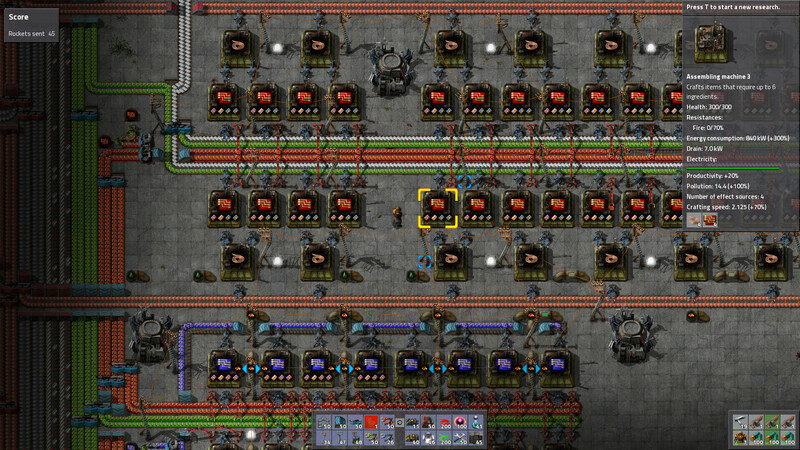 Fixed NPE crash on sending biters if you plaster half the map with furnaces (yes, seriously). Fixed NPE bug where Compilatron would sometimes not continue after players put the required items in his chest. Fixed that technology slot tooltip didn't reflect the cost of the selected technology in the queue. Fixed NPE confusing flying text at startup. Fixed that the train passed wait condition time was limited to 120 seconds. It crashes 5 min after I start the tutorial, every time..
Disabled vanilla pollution attacks in the NPE until after the final wave. Changing teams in PvP will try to preserve the current character. Fixed alerts showing for trees and rocks in the NPE. Fixed solid fuel not triggering "fuel furnace" quest item. Potentially fixed scrap metal crash bug again. Fixed that a fluid furnace revived from a ghost would not work. Fixed that launching tutorials could leave the running game in a broken state. Fixed that clearing the ghost cursor did not clear the hand in the quickbar. Fixed Compilatron blocking placement of burner inserter in NPE. Fixing a bug from last version that allowed fluid mixing by setting a recipe in assembler. Different alert when unable to revive ghost due to fluid mixing by hand vs. by robot. Fixed spitters would not properly target construction robots that are blocked from fulfilling their task. Fixed a crash when joining Steam game invites while a multiplayer connection is in progress. Fixed that the "research finished" indicator would display the wrong technology level. Fixed a crash when removing the end rail of a temporary train order. 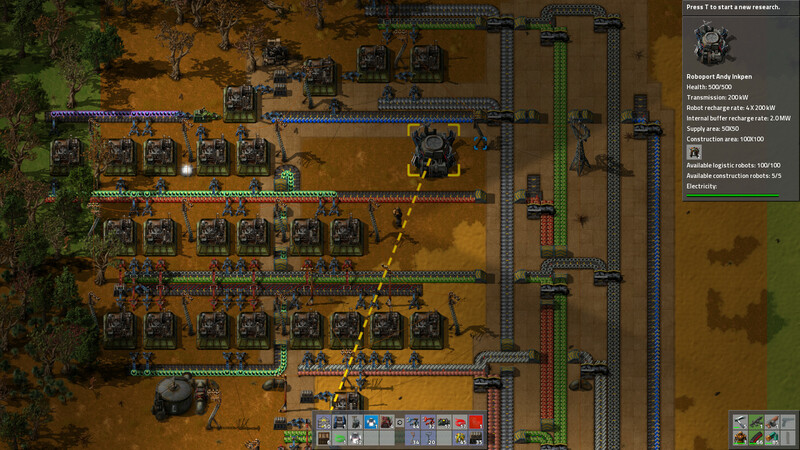 Fixed that cargo wagon filters wouldn't get preserved in blueprint strings. Fixed that printing the output of LuaProfiler anywhere except log(...) would cause a desync. Note: this means if the results are shown in things like player.print() they won't persist through save/load (but won't cause desyncs). Fixed Electric Pole smart coverage placement not building over other pole ghosts. Fixed gates sometimes not closing when next to cliffs. Fixed crashes related to GUI tables.